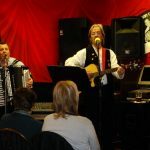 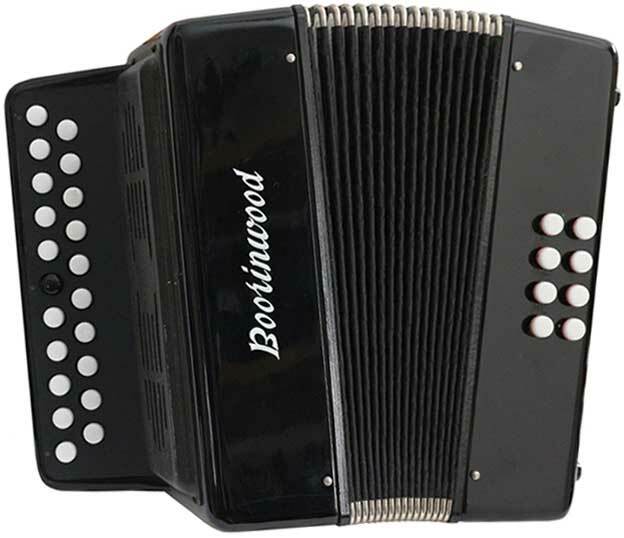 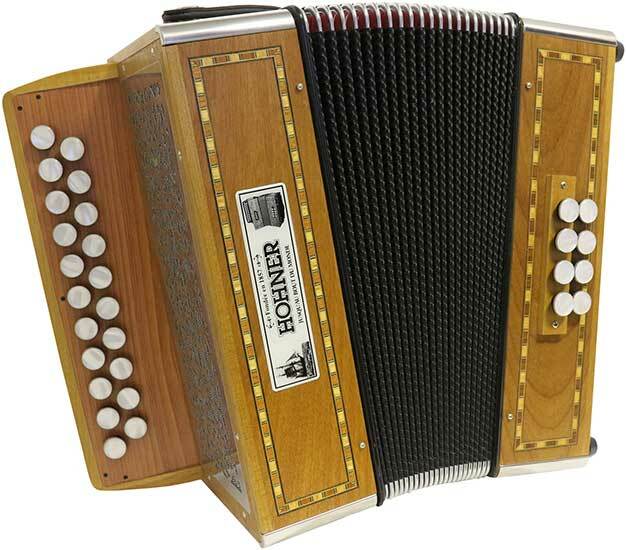 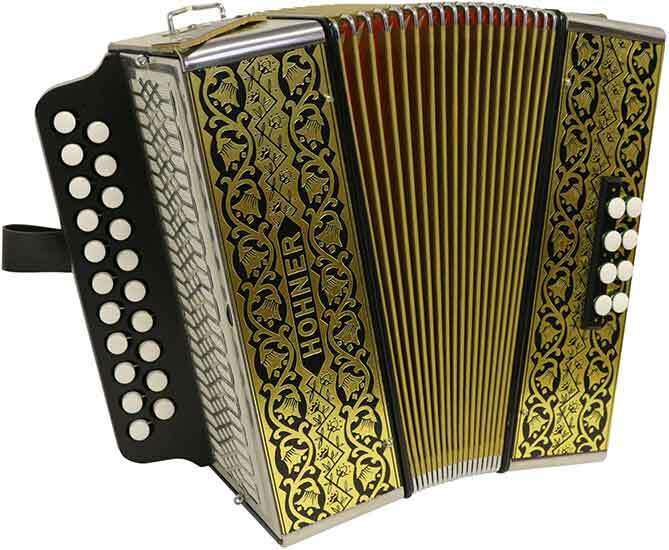 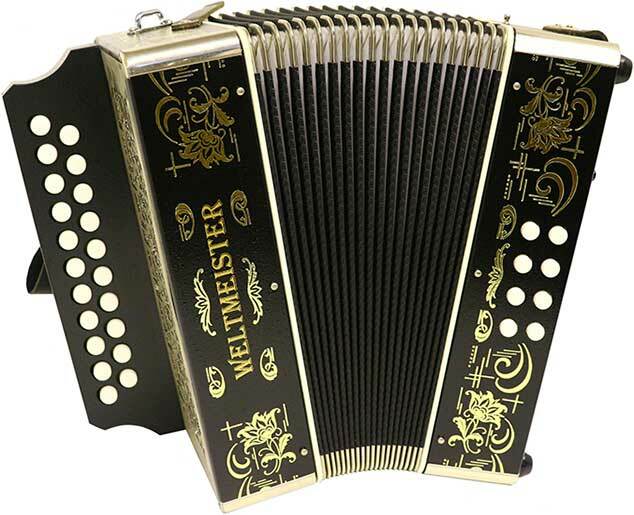 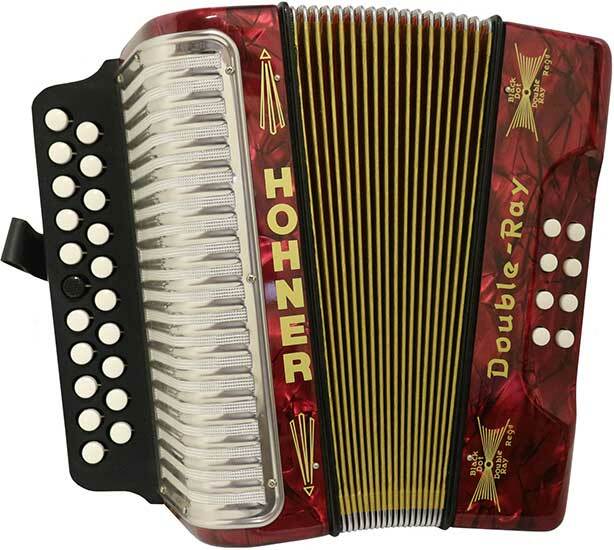 Boorinwood 2 row melodeon. 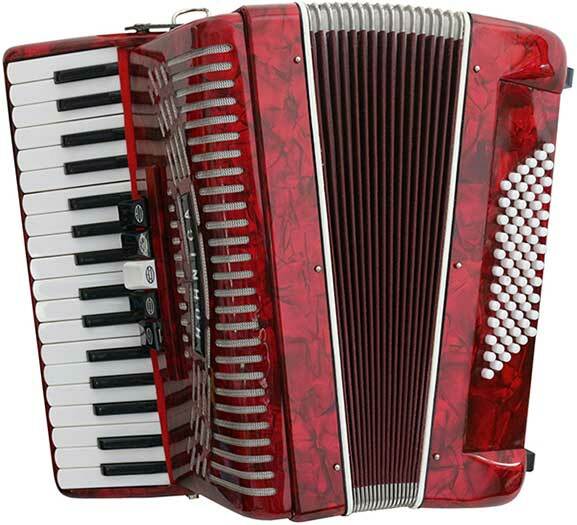 B/C tuning. 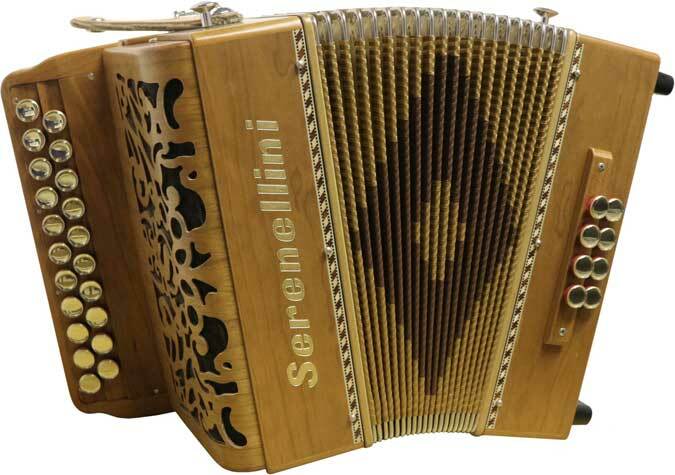 Perfect for traditional Irish music. 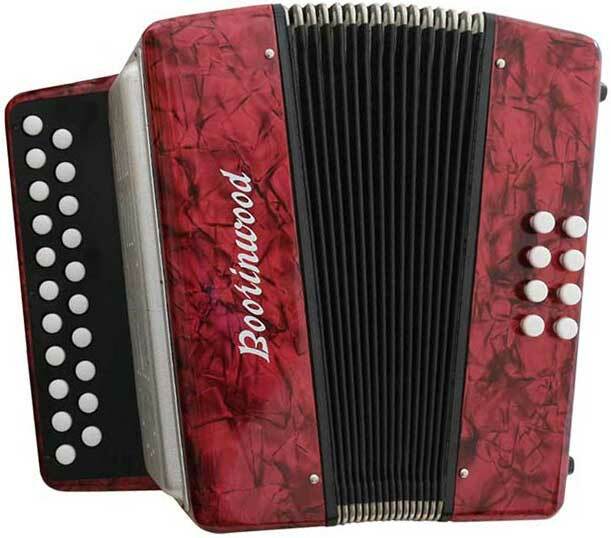 Red pearl finish.